Before the winter swoops in to bury players in the cold, the tournament circuit offered up one last chance to get some sun with the seventh-annual UltimateBet Aruba Poker Classic. The event has been a player favorite on the tour since its inception in 2002. This year, the tournament is expecting a field of more than 750 players and is guaranteeing a first-place prize of $1 million. A day 1A field of 262 brought organizers close to their goal (since day 1A fields are usually smaller than day 1B fields). A much larger field is expected for day 1B, as players continue to fly in from all over the world. 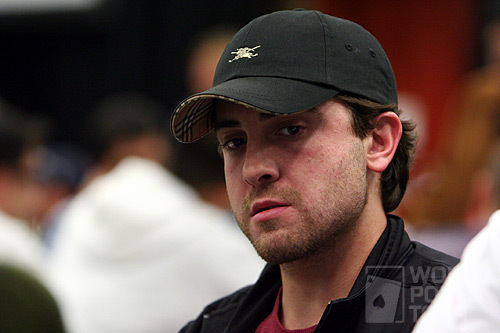 In 2007, Travis "TravestyFund" Rice came out on top of a field of 548 to score the top prize of $800,000. Past winners of this event include Devon Miller, Freddy Deeb, Eric Brenes, Erick Lindgren, and Juha Helppi. The field featured many newcomers to the poker circuit, including a large number of underage qualifiers taking advantage of Aruba’s law allowing 18-year-olds to gamble. Not surprisingly, the field boasted numerous online players, including Taylor “Green Plastic” Caby, Matt “GrinderMJ” Juttelstad, Jeremy “Chipsteela” Menard, Joe “ender555” Ebanks, Dylan “imalucsac” Linde, Christian “charder30” Harder, and Steven “Stevesbets” Jacobs. Joining them among the notables were seasoned veterans James Van Alstyne, Lee Markholt, Alex Bolotin, Johan Storakers, Perry Friedman ,and Will “The Thrill” Failla. With tournament director Matt Savage at the helm, players were happy to receive 15,000 in starting chips and a slow-moving blind structure featuring 90-minute levels. A total of 151 players survived day 1A and will have Tuesday off for fun in the sun. Join us tomorrow as we do it all over again with a fresh set of competitors. The action starts at noon EST and will conclude just before midnight.